Towards Autumn the seed heads are equally attractive - their colour starts a sunny bronze, and turns brown as winter approaches. The foliage has an attractive geometrical pattern, too. 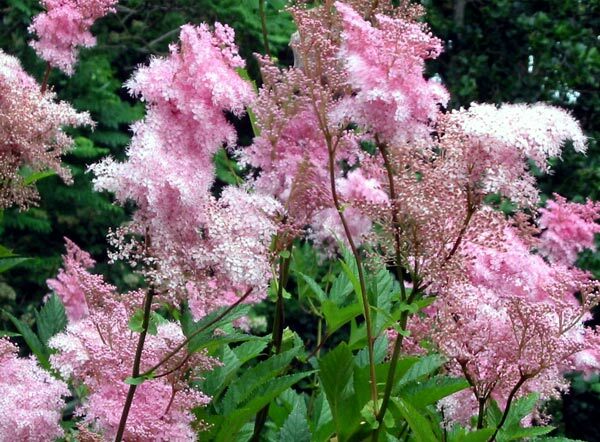 When I bought my Filipendula they were just a couple of roots in a bag of moist sawdust. For once I was really sensible - I planted them by the pond! They were totally forgotten for the first couple of years - then I remember the excitement when I actually noticed the pink fluffy flowers. 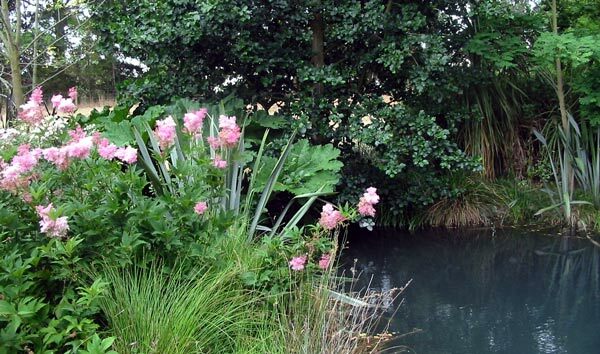 It's taken five or six years for the clump of Filipendula to become properly established - now it's a feature of the whole pond garden in summer, taking over when the pink Ballerina roses finish their first flowering.